I don't think I am the target audience for the writings of Terry Brooks. 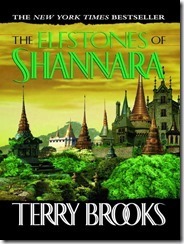 The plot lines and characters of his Shannara stories are borrowed almost whole from JRR Tolkien's Lord of the Rings and The Hobbit. There are elves and dwarves and men living in Brooks's world; and there are magical talismans with the power to seduce those who possess them and to identify the possessor to the dark lords who covet them; and there are quests to save the world from evil, powerful sorcerer and his army of demonic beings; and there are at least 2 creatures who talk like Gollum. 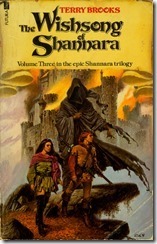 In "The Wishsong of Shannara" - the third and final book of "The Shannara Trilogy", Brin and Jair - children of the hero of "The Elfstones of Shannara" and grandchildren of the hero of "The Sword of Shannara" - travel across the Four Lands to destroy an evil book. They armed with the power of the Wishsong - the ability to generate magic and illusion with their voice; and are joined by allies of other races. I think Brooks's books are aimed at teens and young adults who have not yet experienced Tolkien and maybe aren't ready for something as heavy as Middle Earth. Brooks is not nearly as good a writer as writer as Tolkien (who is? ); but his narrative is simpler and more straightforward, making it accessible to those who are new to high fantasy. It's a good gateway into this genre. I enjoyed this trilogy enough to complete it, but not enough to read any more books that Brooks has set in this universe. This is a good introduction to high fantasy for those who want something light and easy to read. If you are already a fan of the genre and have read some of its masters, you are likely be disappointed. Steve Earle has been writing and recording songs for over 4 decades. On Monday night, he brought those songs to the City Winery in Chicago's Fulton River district. This was my second night in a row at the City Winery as I saw JD Souther the night before. Earle and Souther share a Texas upbringing and a talent for writing great music. Steve Earle is as much a storyteller as he is a songwriter. Listening to his music you can hear the influences of his old friends Guy Clark and Townes Van Zandt. Between songs, Earle would talk about his life and his music and his romantic streak and his many failed marriages. He expressed a strong wit - in both his lyrics and his banter. Every song was a joy to listen to as he moved effortlessly from blues to country to Irish folk songs. It was just him and his guitar or mandolin (and sometimes harmonica) but that was enough. A packed theater appreciated all he brought. Now in his 60s, Earle continues to make music and to tour constantly. And to make audiences happy. JD Souther wrote the soundtrack to my youth. His songs were recorded by many of my favourite artists, including Bonnie Raitt, the Eagles, and Linda Ronstadt. Sunday night at the City Winery I had a chance to return to those days when legendary songwriter performed. For over 2 hours, Souther sang songs he wrote and (mostly) others made famous. His tenor voice still sounds great and was accompanied only by himself playing acoustic guitar or baby grand piano. He is mostly known for the songs he wrote and co-wrote for the Eagles and he played many of these, such as "Sad Café", "New Kid in Town", and "Best of My Love". He also played his composition "White Rhythm and Blues", one of my favourite Linda Ronstadt songs and "You're Only Lonely", the only top-40 hit recorded by Souther. Souther spent most of the evening playing ballads, but changed it up for the encore, getting the audience clapping along to the catchy "Heartache Tonight." The place was not full on a cold and snowy Sunday night. But Souther is a big baseball fan and announced before his last song that he planned to return to Chicago in the spring and take in a Cubs game. So you will have another chance to see him. And you should take it. Me and JD after the show. Today I am grateful for coffee. Today I am grateful for my first visit to Kingston, ON and Queen's University. Today I am grateful for my new condo. Today I am grateful for a chance to deliver 2 guest lectures yesterday at the University of Illinois and for all the questions during and after each lecture. Today I am grateful to be invited to speak at Illinois Pulse Week last night and for a great audience that stayed 45 minutes late asking questions. Today I am grateful for a gift of a new pair of shoes. Today I am grateful that I've lost 30 pounds in the last year. Today I am grateful for coffee with Keith yesterday. Today I am grateful that the professors I deal with are appreciative of the work I'm doing and the programs we are offering. Today I am grateful for dinner last night with Stephen and Angel. Today I am grateful to attend an exciting Spurs-Cavs game last night. Today I am grateful to see MSU play basketball at Illinois last night - probably the only game I will see in-person this year. Today I am grateful for my first taste of sushi burrito yesterday. Today I am grateful to all the students who stayed at my AI workshop past 1:30AM last night. Today I am grateful to spend yesterday with my old team. Today I am grateful for 2 years in my current apartment. Today I am grateful that my work takes me to so many amazing places. Today I am grateful for dinner with Josh last night. Today I am grateful to Dr. Martin Luther King, Jr., who called out injustice where he saw it and advanced an important struggle that continues today. Today I am grateful for my first visit to a Persian restaurant. Today I am grateful to travel safely from Sandusky to Chicago to Dallas to Vancouver in less than 24 hours. Today I am grateful for my 11th #CodeMash and all who worked hard to make it excellent. Today I am grateful to Jennifer and Matt for answering my Machine Learning questions yesterday. Today I am grateful to see so many old friends yesterday at #CodeMash. Today I am grateful to attend an #MIGANG meeting last night in Michigan and drive to Ohio after with Jennifer, Ondrej, Jonathan, Gaines, and Seth. Today I am grateful to watch Black Mirror last night with Ondrej, Desislava, Gaines, and Mary. Today I am grateful I've made it to the gym every day I was home. Today I am grateful for a birthday lunch yesterday with Shelly and Jason. Today I am grateful for a good night sleep last night. Today I am grateful for my slow cooker. 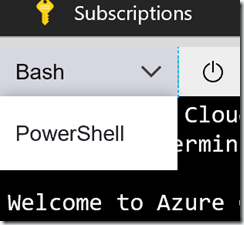 Today I am grateful to Brent for helping me with my Azure questions yesterday.